By now most people in the UK have heard of electronic cigarettes. The idea of an electronic cigarette has been around for some time and its invention traced back to a Chinese pharmacist. An electronic cigarette, also known as an e-cigarette or e-cig, is a device consisting of a nicotine container, an atomiser and a battery which heats a liquid containing nicotine to produce vapour once reduced pressure is applied to a cartridge/cartomsor. This vapour is then inhaled by and acts as a nicotine delivery system. E-cigarette users enjoy the act of smoking without the ash, tar, combustion or odour of normal tobacco cigarettes. This is not real smoke ie. It is not created from “burning” – it is a vapour that has been “atomized” by the e-cig. Compare a fires smoke to a kettles steam. 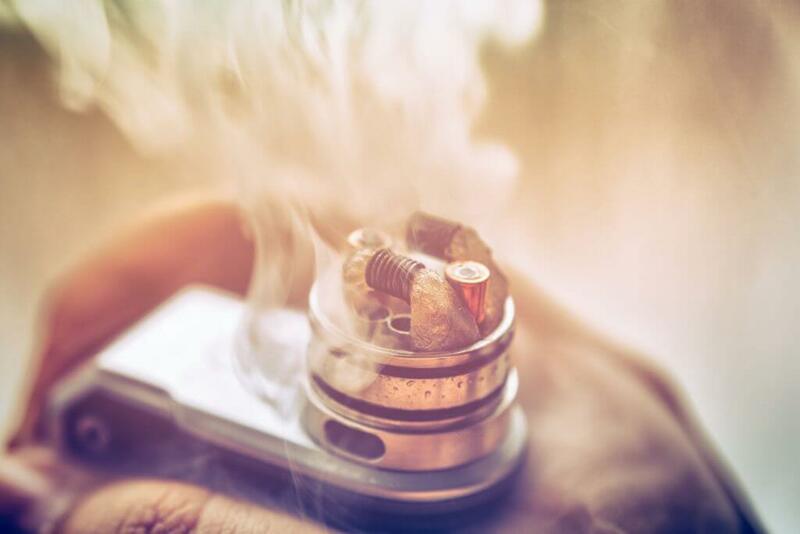 The liquid that is vaporised is made of either propylene glycol or vegetable glycerine (substances approved by the FDA for a variety of purposes), water, flavouring and nicotine and should contain no other harmful additives. Inhaling and exhaling the vapour is almost identical to the feeling obtained when smoking whilst nicotine from the solution is absorbed into the body not unlike smoking. Our electronic cigarette reviews will help you choose the best electronic cigarette. E-cigs come in many shapes and sizes with the most popular being very simple and similar in looks and size to standard cigarettes. However there are some that do not look anything like a normal cigarette. Some are three separate pieces and some two pieces with the atomiser contained within the cartridge. If you are thinking of trying an e-cigarette, the easiest way is by purchasing a starter kit. Depending on which brand you choose, it will usually have five or ten cartridges in your choice of flavour, one or two batteries, and a variety of chargers. They often have carrying cases or other accessories with more options available at a higher price. Disposable electronic cigarettes are also available, which normally last a little longer than the two-piece models and once used can be thrown away. In the long run it works out more money but it’s an inexpensive way to give e-cigs a try. Read our e-cigarette reviews and find the best e-cigarette UK.